WASHINGTON — Amazon is joining the list of companies planning a constellation of thousands of satellites for broadband internet connectivity. The internet shopping giant has asked international spectrum regulators to provide spectrum rights for a constellation of 3,236 satellites. 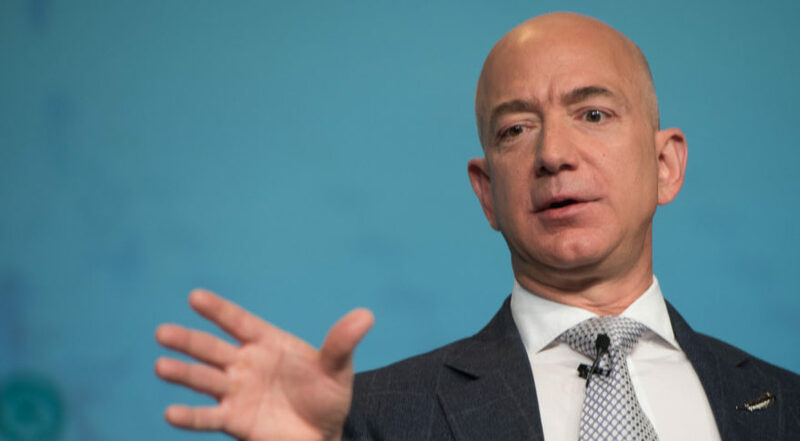 Amazon hasn’t disclosed who would build the satellites or when they would be launched, and hasn’t yet filed with the Federal Communications Commission (FCC) for U.S. market access for the system. Amazon’s constellation is filed with the International Telecommunication Union (ITU) under the name Kuiper Systems. Amazon confirmed its connection to Kuiper Systems in a statement to SpaceNews. News of Amazon’s constellation application was first reported by GeekWire. The Amazon constellation calls for three layers of satellites — 784 in a 590-kilometer orbit, 1,156 in a 630-kilometer orbit, and 1,296 in a 610-kilometer orbit. Many details about Amazon’s proposed constellation remain unknown, such as who would build the satellites and when Amazon hopes to have them in orbit. Amazon has not yet applied with the FCC for permission to serve the U.S. market with the constellation. That application would include more details about the constellation, including how Amazon would deorbit satellites to maintain a sustainable space environment. Amazon founder Jeff Bezos also founded the launch company Blue Origin, which is developing a reusable rocket called New Glenn to launch government and commercial satellites. The rocket’s first flight is expected in 2021. News of Amazon’s ITU filing came the same day as reports that Bezos will retain full ownership of Blue Origin after his divorce. In a statement April 4, MacKenzie Bezos said that her husband will keep his full ownership of the spaceflight company as part of their divorce settlement. Bezos will transfer 25 percent of his existing stake in Amazon to MacKenzie, but keep “sole voting authority” over those shares. Even after the settlement Bezos will remain the wealthiest person in the world, with his remaining Amazon shares worth an estimated $108 billion. Amazon’s proposed constellation, according to the ITU filing, would circle the Earth much closer than some of the other broadband constellations under development. OneWeb, for example, is targeting 1,200 kilometers for its initial constellation of 650 satellites. Telesat plans to have satellites in 1,000-kilometer and 1,250-kilometer orbits, though it’s not clear how many of its envisioned 292-satellite system would go in each orbit, since the target size of the constellation is 58 satellites above what the FCC approved for U.S. market access. LeoSat’s proposed constellation of 108 satellites would operate at 1,400 kilometers. SpaceX wants to operate most of its future 4,425-satellite constellation between the altitudes of 1,110 and 1,325 kilometers (though the company asked the FCC in November to authorize 1,584 satellites at a lower 550-kilometer orbit). Many spectrum applications never progress much beyond the filing of the initial paperwork. Boeing applied in 2016 with the FCC for a constellation of between 1,396 and 2,956 satellites, but said last June that it hadn’t moved forward with those plans. The FCC’s international bureau told SpaceNews that Boeing has withdrawn two applications in the past year. Amazon’s system, if realized, will likely cost billions of dollars, not unlike the projected cost of constellations for SpaceX, OneWeb, Telesat and LeoSat. Bezos said last year that he already sells $1 billion in Amazon stock annually to fund Blue Origin.